The mobility of mercury (Hg) was assessed in sediment from the Union Canal, Scotland, UK. 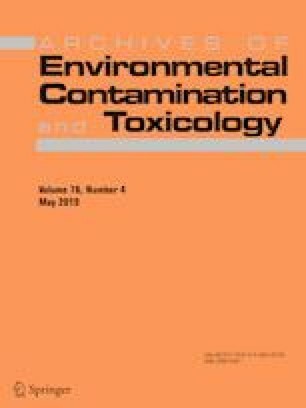 Samples collected from the vicinity of a former munitions factory that manufactured mercury fulminate detonators were subjected to sequential extraction followed by cold vapor atomic absorption spectrometry (CVAAS) and direct analysis using thermal desorption (TD). The sequential extraction indicated that > 75% of mercury (up to 429 mg kg−1) was in mobile forms, with < 12% semimobile and < 23% nonmobile species. In the TD method, > 67% of the total Hg content was desorbed in the temperature range 100–250 °C consistent with species weakly attached to the mineral matrix [tentatively identified as an iron (oxy)hydroxide-associated species]. This predominance of mobile mercury species may arise from a lack of association between Hg and either organic matter or sulfur in the sediments. Further investigation of Hg mobilization, transport, and assimilation/biomagnification is required both to determine whether there is a need for remediation of the sediment and to improve understanding of the biogeochemical cycling of Hg in shallow, oxic, freshwater systems. The authors thank Scottish Canals (formerly British Waterways) for providing background information on the canal system and granting permission to sample.